CPC Driver Training Blog: Lawyer warns street lights switch-off could provide loophole for drivers caught speeding . . .
Lawyer warns street lights switch-off could provide loophole for drivers caught speeding . . .
An expert in motoring law believes the decision by Essex County Council to turn off street lights in Harlow and other parts of the county means some 30mph limits may not apply, offering a loophole to drivers accused of speeding. 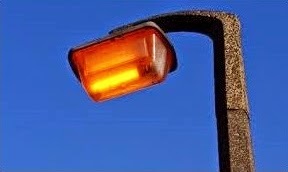 Around seven in every 10 of the county's 127,000 street lights are now turned off between the hours of midnight and 5am. Claims that the move will save money and cut carbon dioxide emissions are countered by concerns that darkness increases crime and accidents. But Essex barrister Antony Hook said: "Many, or even the majority of, residential roads do not have speed limit signs and are legally restricted to 30mph if they have working street lights up to 200 yards apart. "The courts have ruled that speed limits may not apply if street lights are broken, too far apart or illuminate the pavement instead of the road. "It follows that there is a strong legal argument that switching off street lights can also remove a speed limit. "I regularly represent innocent motorists in court. Motorists may have a defence to a speeding charge because street lights have been switched off. This may make all the difference as to whether or not people get points, a fine or lose their driving licence and possibly their job as well. "Road traffic law is very complicated and motorists should not hesitate to seek legal advice. Recent rule changes mean that motorists and other members of the public can now come directly to a barrister as I explain on my website www.hooklaw.org." An Essex County Council spokesman said: "Turning street lights off or on has no effect on the speed limit." A Department for Transport spokesman added: “Drivers are told via speed limit signs when they enter a 30mph limit and the onus is on drivers to make sure they are aware of what signs mean and what is expected of them. "The Road Traffic Act is clear that street lighting indicates the speed limit, and in our view this applies even when the lights are off, for example during the day. "In our view it is the presence of a system of street lighting that indicates the limit – the wording of RTRA section 82 makes no reference to times of illumination (street lighting is unlit during daylight hours as well, but the limit still applies). "Drivers are told via speed limit signs when entering a 30mph limit, so they are not expected to rely solely on the presence of street lights. "The Highway Code makes clear in rule 124 that the presence of street lights means a 30mph limit, as does advice in Know Your Traffic Signs. It is for drivers to make sure they are aware of what signs mean and what is expected of them. "It’s for local authorities to implement speed limits and review as needed. "The Traffic Signs Regulations and General Directions do not permit 30mph ‘repeater’ signs to be placed within a 30 limit, as the presence of street lighting provides this information to drivers. "